Innovative new home construction for more than 40 years. Never lose sight of quality, affordability and your community. We utilize pre-engineered building systems as the primary structure and area of our specialization. A Wichita rental property company. 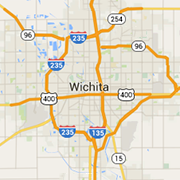 Renting single family homes and townhomes specializing in the West Wichita and Maize areas.